–A Remarkable Team to Stabilize Blood Sugars. Flaxseed and Diabetes and Flaxseed helps stabilize blood sugar + control/ prevent diabetes. Flax is a Low Glycemic Food with fiber, protein, Omega 3 + Lignans. Are you are looking for alternative and holistic ways to help control your blood sugar? Flaxseed benefits diabetes and adding flax to your daily diet may be the answer you’ve been looking for. Here are the 10 Ways Flax can help Diabetics continued from part 1: Flax for Diabetics. This is Part 2 on the topic of Flaxseed for diabetes. Flax seed is a low glycemic food and helps stabilize blood sugar levels for longer. Flax is a whole grain. Flax is an excellent source of fiber -helping your feel fuller longer. Flax has Omega 3 -which makes your brain feel satiated and helps stop cravings! Protein in flax helps the body get nutrition that takes longer to digest and process helping provide more nutrition for longer. Flax hull lignans help heal the body lessening or preventing complications from diabetes. Flax prevents spikes in blood sugar and keeps blood sugar levels more stable for longer. Research has shown that flaxseed for diabetes as part of a daily diet can help lower and stabilize blood sugar levels. Flaxseed is an easy thing to add as part of a balanced diet and can make dramatic differences in your blood sugar as well as overall health. Many customer's have told us their success stories of trying flax for diabetes and they have been able to lower and/or stabilize blood sugars. 4. Flax Omega 3 –Helps Your Brain feel Satiated + helps stop cravings! Most of us are not getting enough Omega 3 in our diet. This is a problem because Omega 3 is essential and our bodies cannot make or produce its’ own omega 3 –our body must get omega 3 from what we eat. One of the important roles of omega 3 is to tell our brains that we are full and satiated. When we aren’t eating enough omega 3, our brain will think we are hungry and we will “feel” hungry and have the “munchies”. Our body is craving nutrition and not getting what it needs. Sadly, what this person didn’t realize, like so many others –is that you can eat tons of food, but that does not mean it is guaranteed to be full of nutrition. A great way to take a small step toward health is adding flaxseed and diabetes can be better controlled or prevented. Watch the movie The Future of Food Documentary for more about this. 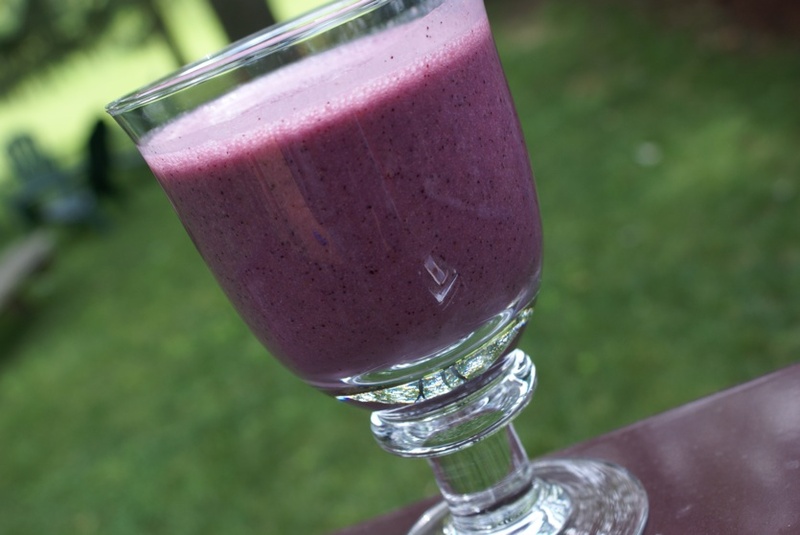 The protein in flax helps provide nutrition that the body takes longer to process. This is important to get healthy, vegetarian protein in our diet –and especially vegetarians and vegans need this nutrition. When we have more healthy protein in our diet, then the body has good nutrition for a longer period of time, so then we feel satisfied longer. Lignans help to health the body, including the pancreas, which is a very important player in how the body manages Insulin. (how to word? Research a little?) Lignans are antioxidants from plant pytochemicals (?). Research has shown that lignans have _______? 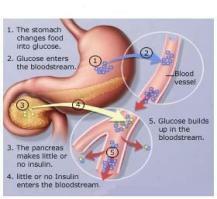 Which are essential in the treatment of autoimmune disease like type 1 diabetes. Flax prevents spikes in blood sugar levels and keeps them stable for longer. Flax also helps heal the body, lessening and preventing complications from diabetes. ... it can also help the body heal and prevent worsening diabetes along with complications that many diabetics presently suffer from or could potentially have later on. Flaxseed and Diabetes make a team to help you fight diabetes. Research has shown that flax as part of a daily diet can help lower and stabilize blood sugar levels. ... yet, it is important to remember that if you aren’t getting the nutrition in the food you eat, then you aren’t getting the value for your hard earned money! Eventually the lack of nutrition will likely lead to chronic disease such as diabetes. ..the body simply won’t work properly if we don’t get the right nutrition. Many of our own customer’s have told us stories of how flax seed has helped them lower and stabilize blood sugars. Here are the results I have had in only a few months. I am 52 years old and have several health problems. Type 2 diabetes and Menopause and constipation being my top three complaints. The best thing that happened is that it has really helped stabilize my blood sugar. When blood sugar is stable without a lot of peaks and valleys, it is easier to lose weight and Im game for that. Read more about her story and flax for diabetes. Flaxseed and diabetes make a remarkable team to help stabilize blood sugars. Remember: We don't want too high or too low blood sugar levels -as these extremes can cause damage to our bodies. The more processed foods, sugar, white flours, white rice, etc; the harder it will be to control blood sugar levels and the more likely it is that we will suffer from diabetes and it's consequences. The more vegetables, whole grains and low glycemic foods we eat, the easier it is for our body to keep blood sugars stable and within the normal levels. Flaxseed and diabetes is an economical and powerful step to take to help stabilize blood sugars toward the goals of fighting and preventing diabetes! Leave Flaxseed and diabetes, page to go buy Quality Flax.